Only the most avid follower of op art and kinetic art can recall the importance of Julio Le Parc in pioneering these abstract-geometric art movements in the ’60s and ’70s. Migrating from Buenos Aires to Paris in 1958, he met artists like Soto and Vasarely, and gallery owner Denise René. Soon they made history. Le Parc’s mathematical rigor, personal palette of 14 colors, and materials (including Plexiglas) took geometric art beyond stylistic elegance, striking visual chords that conveyed sociopolitical resonance. 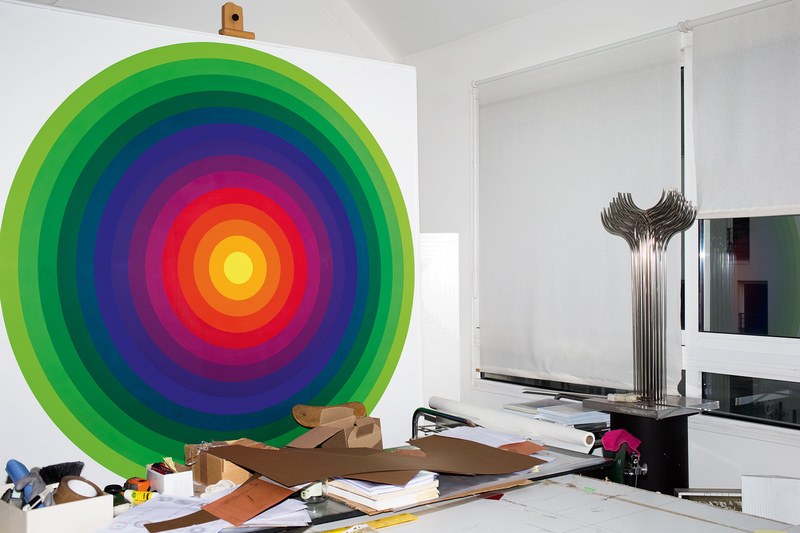 We wanted to know what lessons the still active artist — now part of Emmanuel Perrotin’s successful team of artists — has for us today. 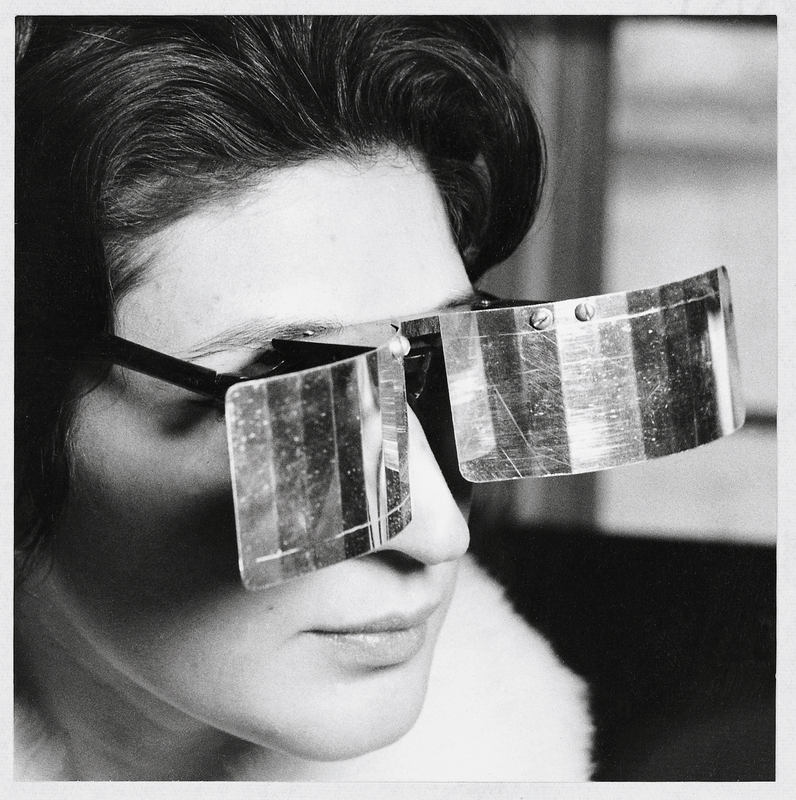 Martha Le Parc with Lunettes Pour Une Vision Autre [Glasses for Another Vision], 1965 JÉRÔME SANS — How did you as an Argentine artist go from figurative art to an engagé abstraction, which differed from Tachisme and from the ’50s art that was gradually leaving figurative art behind? 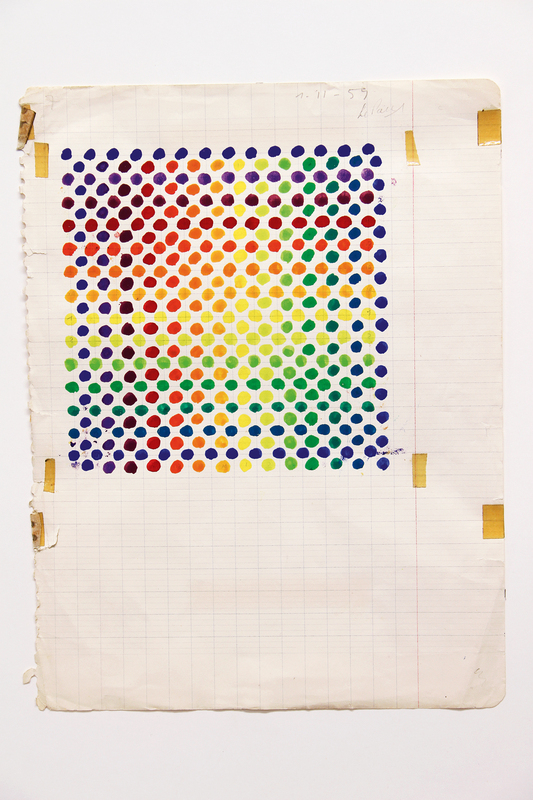 JULIO LE PARC — When I was a student at the School of Fine Arts in Buenos Aires, in the 1940s, I had several artistic alternatives to choose from. There was a current of figurative engagé artists, who had staked out a progressive position and were more or less equivalent to the Mexican muralists. On the other hand, a group had arisen in Argentina called Arte Concreto–Invención. That seemed very interesting to me. These artists would take simple shapes — like circles, squares, and triangles — and pure, limited colors, and somehow establish a relation with the public that did not proceed through anecdote. They, too, had staked out a progressive position on a more or less materialist, dialectical, or Marxist ideology. Meanwhile, Lucio Fontana, then one of my sculpture professors at the preparatory art school, was working out his Spatialist positions, and with the school’s teachers and students was writing his White Manifesto [published in Buenos Aires in 1946, Lucio Fontana’s White Manifesto calls for “the abandonment of known artistic forms so as to develop an art based on units of time and space.”] — which at the time I refused to sign. We also had a professor who initiated us into the principles of color and Gestalt theory — the theory of form. His teachings prompted a real awakening within me. Then, in 1958, I saw the Victor Vasarely exhibition at Buenos Aires’s Fine Arts Museum; the exhibition was predominantly of very simple black and white paintings. Geometric abstraction was once again catching on. For us, that exhibition marked a new point of departure. There were ties to what had happened in the 1940s, but also to the writings of Piet Mondrian. That same year, I arrived in Paris, thanks to a grant from the French government. This allowed me to develop my work, especially with my Argentine friends: Francisco Sobrino, Hugo Demarco, Horacio García Rossi, and so on. JÉRÔME SANS — When you arrived in Paris, in 1958, the image you had in mind was of Mondrian’s painting Broadway Boogie Woogie [1942-1943], a dancing, swinging piece that practically moves by itself. What was the transition to kinetic art like? JULIO LE PARC — That work was an important point of departure for Francisco Sobrino and me. We were working together at the time and chasing after the same thing, but we were setting aside the freedom that Mondrian took in composition: the way he would place his little colored squares here and there, divvying up the surface — even if by Broadway Boogie Woogie, he had already broken free of the principle that he himself had laid down with his colors and his octagonal framework. We ourselves wanted some way to control the surface. We hit upon a system of progression. Little by little, we managed to fill a surface in keeping with a single principle, and this principle was governed by parameters that we could later influence. We could vary and modify them to generate other optical relations with the viewer. In this way, other phenomena — like instability or peripheral vision — would come into play. Thanks to peripheral vision, we could use small surfaces to provoke big optical movements. It was this quest that later led us to develop real movements and spectator participation. Later, in 1960, François Morellet, Horacio García Rossi, Joël Stein, Jean-Pierre Yvaral, and I founded the Groupe de Recherche d’Art Visuel [GRAV — Visual Arts Research Group]. 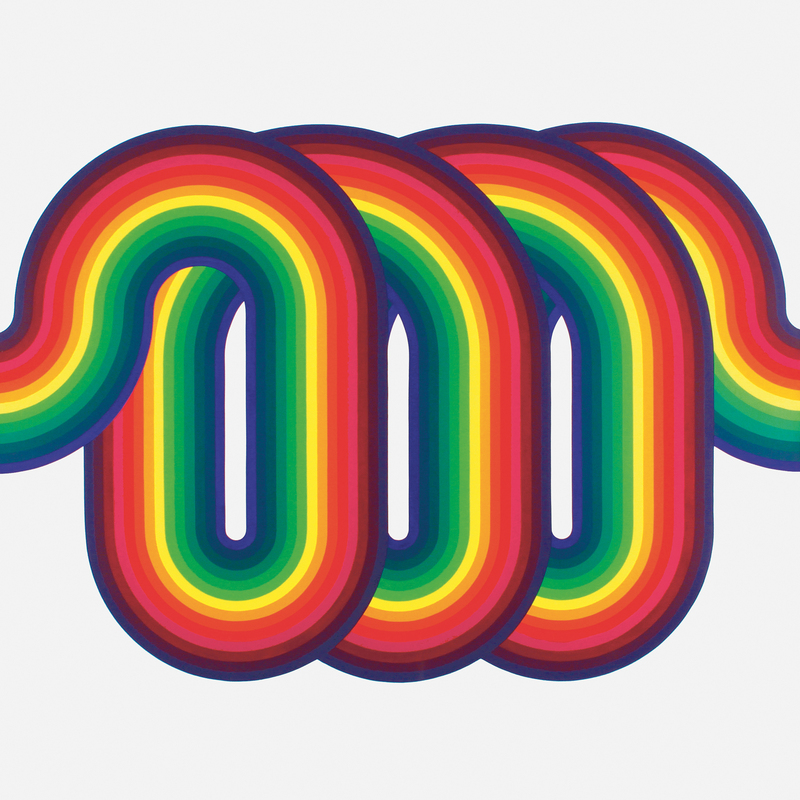 JÉRÔME SANS — What was the artistic context at the time? What was your intention in founding the collective? 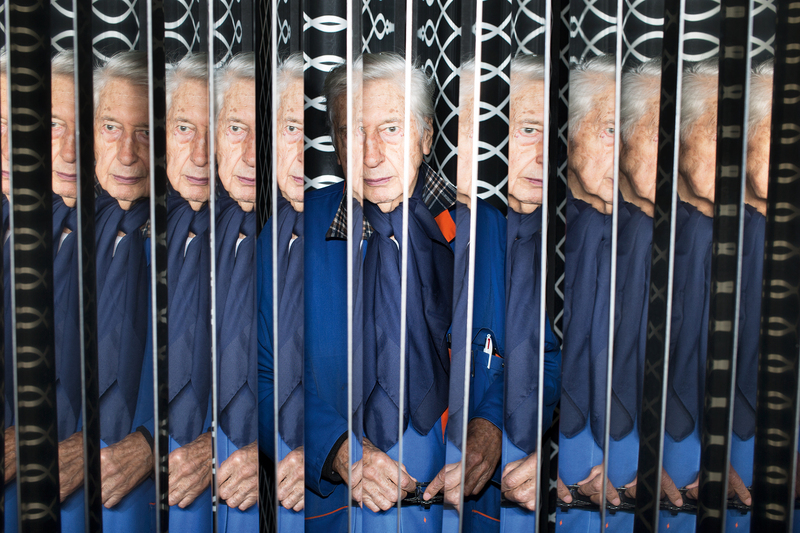 JULIO LE PARC — GRAV was born of my take on the art scene when I arrived in France, a take I shared with the artists who eventually constituted the collective. Art had become a sort of grand mystification. There was a certain academism reigning at the time around informal Tachisme or lyrical abstraction. We’d noticed that it was all coming out of a very narrow group of art critics, gallerists, museum directors, and collectors. A mere four or five people could easily make or break an artist’s career with their sometimes good, sometimes artificial estimation of the work. For people in those circles, the spectator was quite simply an idiot, perfectly useless. We wondered how we could change or invert the status quo, and create a more direct relationship with people, without filtering things through aesthetic analyses, market value, and production. JÉRÔME SANS — Interaction is, indeed, essential to those works. 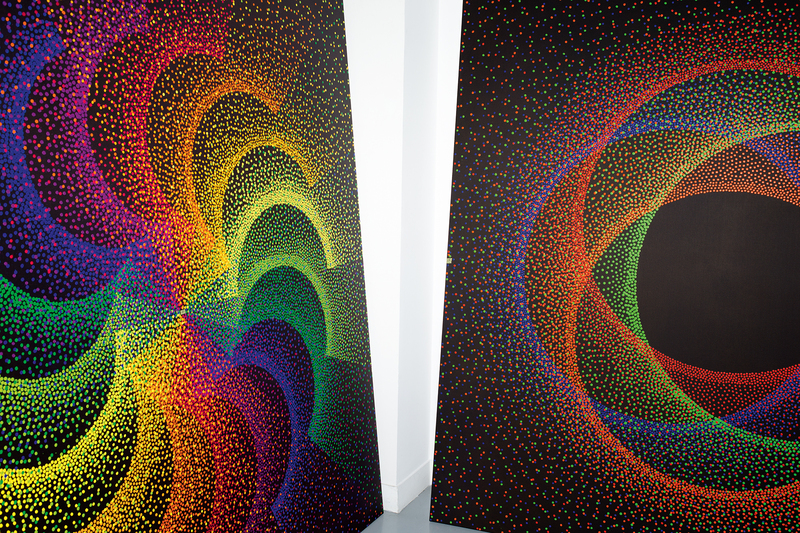 JULIO LE PARC — Precisely. The objects were not in and of themselves works of art, and we were surprised by the way people used them. The purpose of our questionnaire was to see how the public would react. So there was a deeply embedded notion of participation. If people had the time, they could fill it out. Different things surprised us. For example, at Saint-Germain, one member of the group was handing out balloons to people approaching on foot from one side. Farther on, someone else was handing out sticks affixed with pins to people walking in the opposite direction. When these people crossed paths, they had the option of popping the balloons or not. La Longue Marche, Étape #4 [The Long March, Step #4], 1974, acrylic on canvas, 78 ¾ x 78 ¾ inches JÉRÔME SANS — Was GRAV, then, primarily a space for exchange and debate? At the time, you were known for your tirades and your reaction to the milieu you had entered on arriving in France, in the late ’50s and early ’60s. 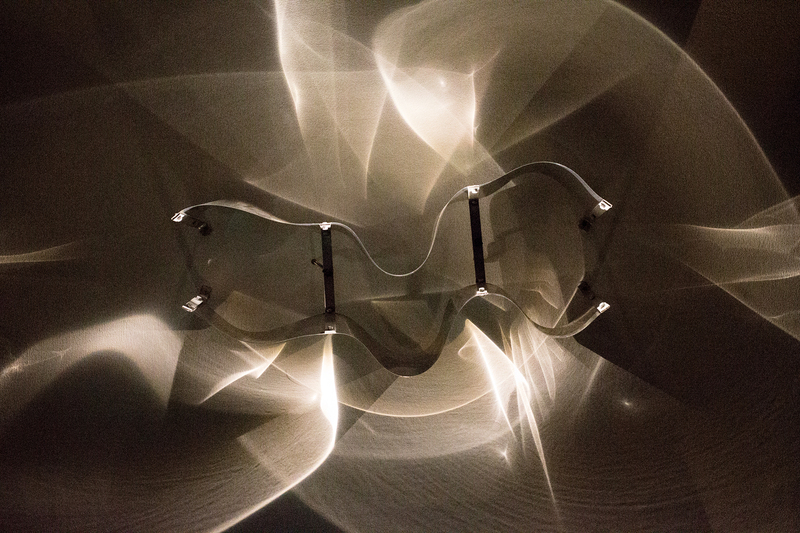 JULIO LE PARC — Yes. It seemed important to establish our position, to react, as we did during the Biennale de Paris [at the second Biennale de Paris, in 1961, GRAV members distributed a tract titled Assez de Mystifications (Enough with the Mystifications)], for example. But that doesn’t mean we were professional contrarians. 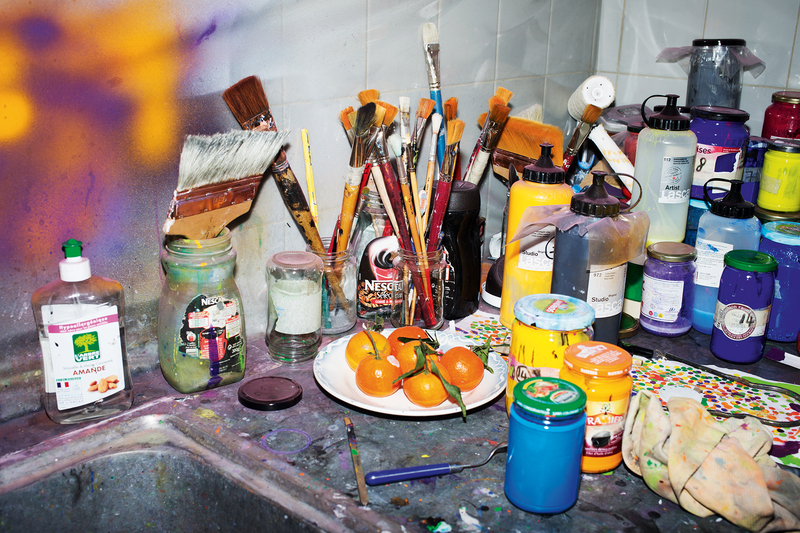 At our collective studio on Rue Baudrier, in Paris, we each made our paintings, and we would write the occasional text, in which we’d point out certain things and take up positions. GRAV was not a group but an assemblage of artists, who would discuss things together and who’d sometimes be joined by the Surrealists or the New Realists out of common productive means or common concerns. La Longue Marche, Étape #9 [The Long March, Step #9], 1974, acrylic on canvas, 78 ¾ x 78 ¾ inches JÉRÔME SANS — During the “Day on the Streets” on April 19, 1966, in Paris, you and the members of the group went from the Place de l’Opéra to Saint-Germain-des-Prés and set up accessories — optical toys, objects to be handled, and such — with the idea of proposing new situations and asking locals to take part. Why was it important to take art out of the galleries and museums, and experiment with it on the street? JULIO LE PARC — Ever since our first exhibition, at the Maison des Beaux-Arts in 1962, we’d been reconsidering the ready-made notion that the public was incapable of appreciating the art of its own time, that the public knew nothing about it or was uncultured and insensible. To be informed about art and receptive to it, the public had to study aesthetics and art history. During the “Day in the Street,” then, we conducted a study of those notions, with a questionnaire that we handed out to passersby and spectators. What we observed was that the public not only replied with utter confidence, but also showed an extraordinary ability to react. It seemed possible to us to encounter a different public from the one that goes to galleries and biennials. The idea was not to “take art to the streets.” We left out objects for the public to handle, but without a word of instruction. It was the polar opposite of a directed and staged show. It left room for the imagination. La Longue Marche, Étape #2 [The Long March, Step #2], 1974, acrylic on canvas, 78 ¾ x 78 ¾ inches JÉRÔME SANS — How would you define what we commonly call “kinetic art”? How did that term develop out of work with light and movement? JULIO LE PARC — I’ve always refused to call my work “kinetic art” because that would amount to bringing things to a halt, framing them, setting them on a shelf. My attitude had more to do with experimentation, the quest for movement and light, for the phenomena of spectator movement, all of which for me ought to be carried further. My search was intended to seek out new spectators by various means. It was best if the movements of light in an exhibition space were propitious, but I was never obsessed with making kinetic art. 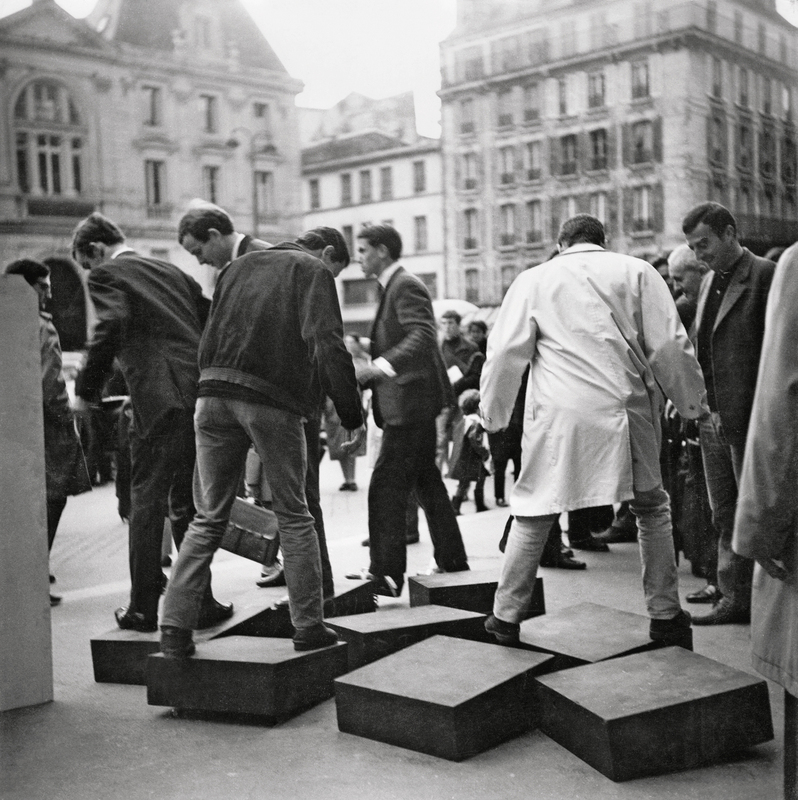 GRAV, Une Journée dans la Rue [A Day in the Street], 1966 JÉRÔME SANS — So, how would you define your own work? JULIO LE PARC — It’s made up of experiments that take different forms and exhibit different characteristics by virtue of the experimentation itself. A small experiment might lead to a larger experiment, which might then lead to yet another. Together, two experiments might give birth to a third, and so on. Unlike artists who like to repeat themselves with infinite variations on a find, however, I am not concerned with being a monothematic artist or with having a “brand image” to guarantee recognition. JÉRÔME SANS — What is your relationship with spectacle? Your works, even when they are small works done with light, really and completely apprehend space. JULIO LE PARC — All the experiments I’ve done have an obvious application in space, in architecture. Changes of scale contribute something else to the relationship with the work’s viewer. The work’s presence becomes stronger, denser. JÉRÔME SANS — The use of mechanical systems in your work also evokes for me the visual experiments that came before the birth of cinema. They’re like miniature plays, simple and magnificent creations with a sort of childhood magic about them. Theaters of the real. JULIO LE PARC — Yes, but the difference between the little inventions that led up to cinema and the use of machines in my work is their purpose. It was my intention to stop with the basic facts. I never sought to go beyond the visual experience. That was enough. The relationship to the object is not the same for the spectator watching a film in CinemaScope. The remarkable technique of CinemaScope can crush the spectator insofar as he relates to what he is seeing in terms of a show, and that relationship is reinforced by the narration, the effects, and so on. Sometimes, the means put to use in a show are so overwhelming that they come to dominate the proceedings, and the spectator comes to feel lost. My works maintain a relationship with the spectator that is less show-like; they establish a closer link between spectator and object. JÉRÔME SANS — Your works allow spectators to be active, take part, and invent their own film. Spectators have an opportunity to trigger the action, to make it real or not. Has the spectator’s role in artistic creation changed over the past few decades? 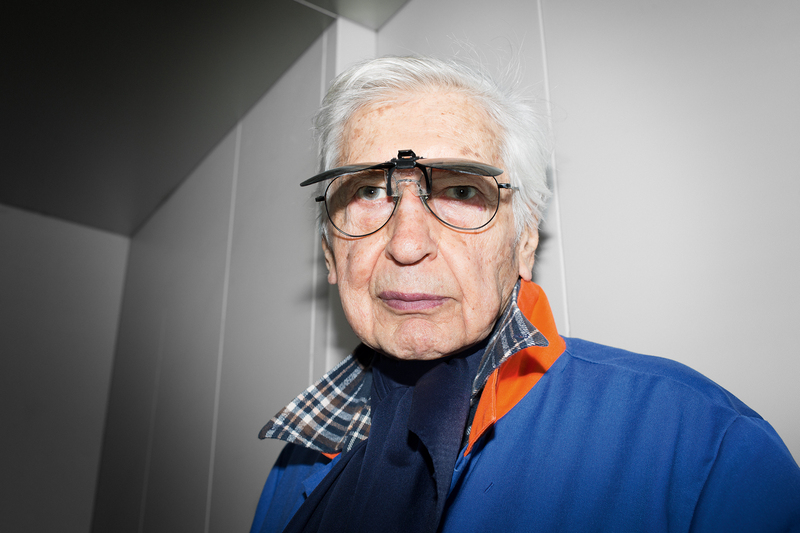 JULIO LE PARC — I think the role given to the spectator has changed. Some of our initiatives back then found an echo in literature, in architecture, in cinema. Filmmakers, for example, would hand their cameras over to ordinary people so as to create something they would have in common. But it’s no simple matter because we’re in a society where everyone is looking for a little comfort and a little peace, and nobody wants to risk losing them. Someone with a position who takes a step sideways might get punished one way or another. So he has to think twice. JÉRÔME SANS — Play is important in your work, as well. How does that manifest itself? JULIO LE PARC — Play is a way to win people over and, in certain cases, to put them at ease, let them take a fresh look at works of art. Play is, perhaps, a good waystation toward opening people up to other things. Through play, people can lose their inhibitions and look at things in a new way. JÉRÔME SANS — How does the idea of perpetual motion guide the development of your works? Is your art a metaphor for a world in constant evolution or revolution? 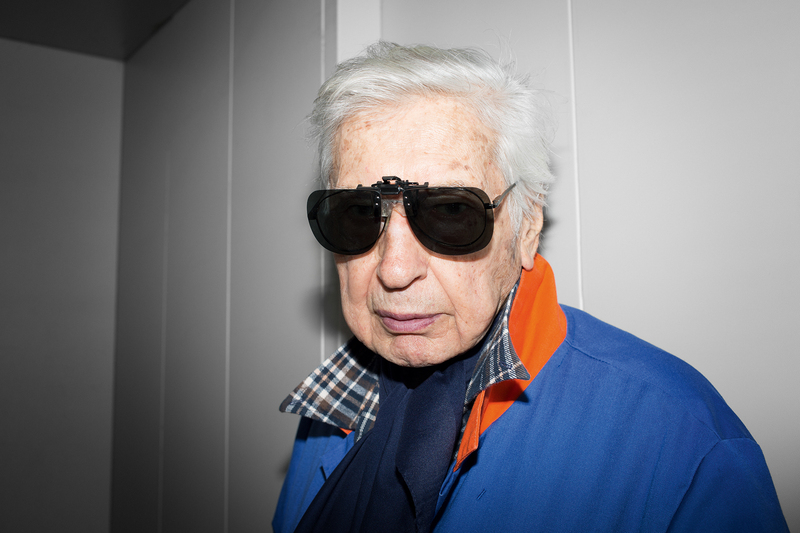 JULIO LE PARC — Politically, for the people in power, it is important that nothing changes. The order has to be preserved exactly as it is. Everything has been decided once and for all. We ourselves, however, feel that there is a need for change, that things need to undergo a transformation, a metamorphosis, for everyone. JÉRÔME SANS — The title of your recent series, Alchemy, refers to life in a laboratory, to experimentation, and to the potential results of a fusion of materials. As an artist, do you consider yourself a researcher, a scientist, a sorcerer, a shaman of the contemporary world? JULIO LE PARC — I don’t presume to be a magician. I’d say I was more of a tinkerer. If you have a little imagination, a little curiosity, a little stubbornness, you’ll stumble upon things. You need a little discernment to tell whether what you’re doing holds any interest. Cloison à Lames Réfléchissantes [Partition with Reflective Strips], 1966/2005, photo by Everton Ballardin, copyright Galeria Nara Roesler JÉRÔME SANS — You’ve developed a rigorous color system, with only 14 colors. How do you see color in your work? What role does it play? JULIO LE PARC — Early on, I did a lot of paintings in black, white, and gray. I later tried experimenting with colors — at first, with only a few. But then, I developed a specific spectrum of 14. The permutations I could get with those 14 colors were infinite. I could see more than 2,000 variations in there. It was this potential for change that I wanted to bring out. I used lights to make the colors shift and reverberate, and to demonstrate their unceasing metamorphoses. 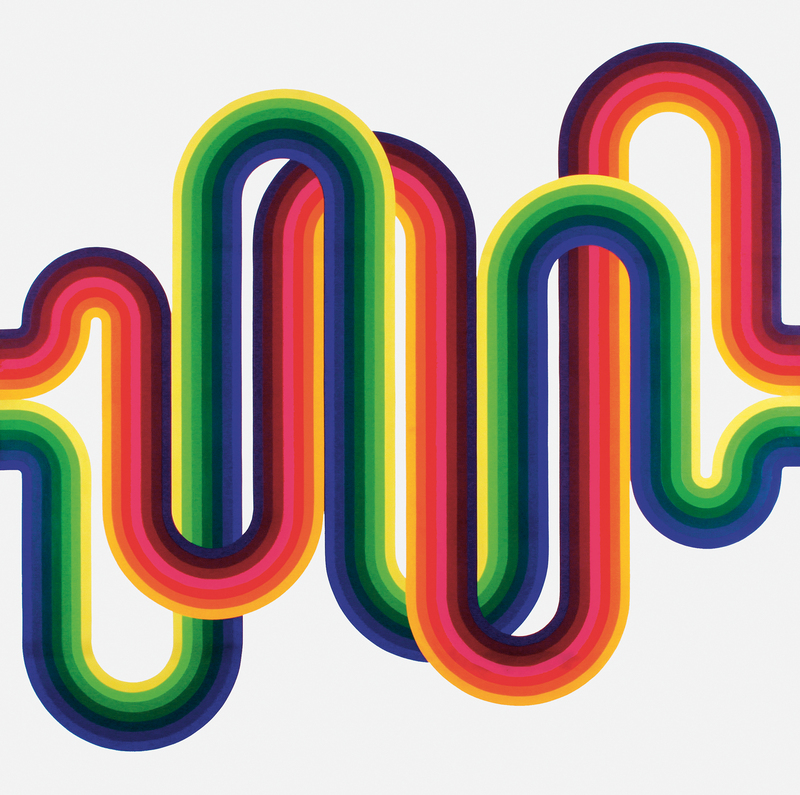 JÉRÔME SANS — Given your work’s serial nature, do you think of yourself as being close to the American minimalism of a late-1960s or early-1970s Sol LeWitt? JULIO LE PARC — Yes. American artists were particularly interesting in the astro-geometric area. I believe in confronting contemporary creations. If movements are presented in isolation, no reflection takes place. It’s very important to defy the ideological authorities, like the ones that existed between Europe and the United States in the 20th century. JÉRÔME SANS — Today, we are seeing a remarkable rekindling of interest in works of kinetic art and the generation of artists linked to that current. Last November we saw your first personal exhibition in New York since 1973. How did you manage to live through that long period of exclusion, when that kind of work, having achieved such fame, was cast aside by the critics and the institutions? 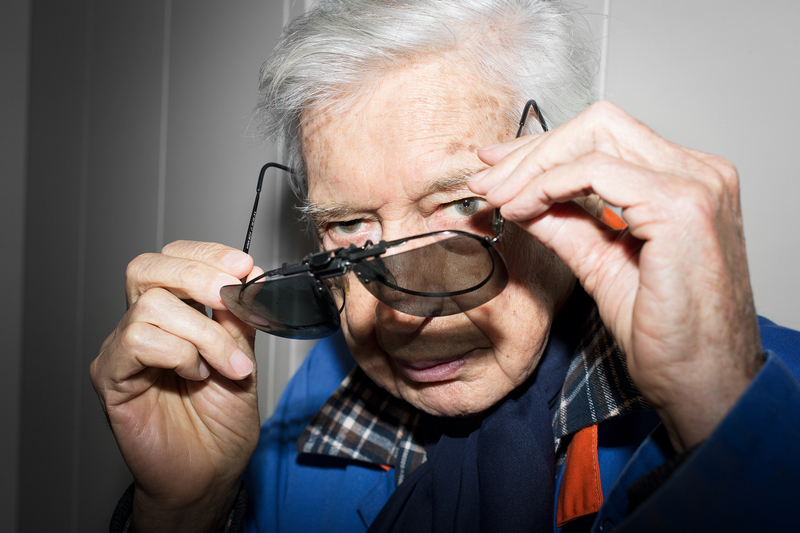 JULIO LE PARC — I myself never gave in to any of that. I traveled extensively, in Germany, Italy, Latin America, and elsewhere. In France, since I was considered something of a pain in the neck, the authorities in the museums and institutions — they didn’t so much censorme as practice a sort of tacit selective segregation. 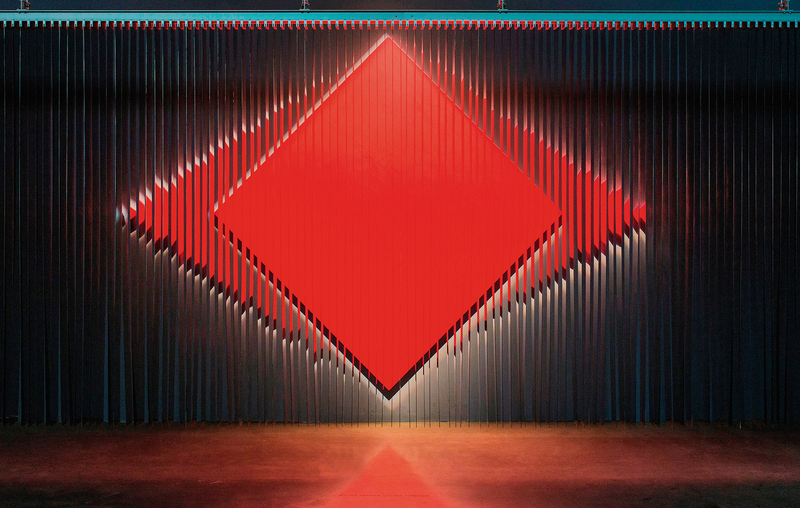 During those years, Jesús Rafael Soto and François Morellet had several exhibitions at the Musée National d’Art Moderne and the Musée d’Art Moderne de la Ville de Paris. I always kept working, regardless, and today some of those same people from the institutions acknowledge not that they were at fault, but that they failed to rise to the occasion when I and others were cast aside. JÉRÔME SANS — You have steadily written down your reflections on art and your work over the past few decades. Few artists truly write manifestos. What is your relationship to writing? 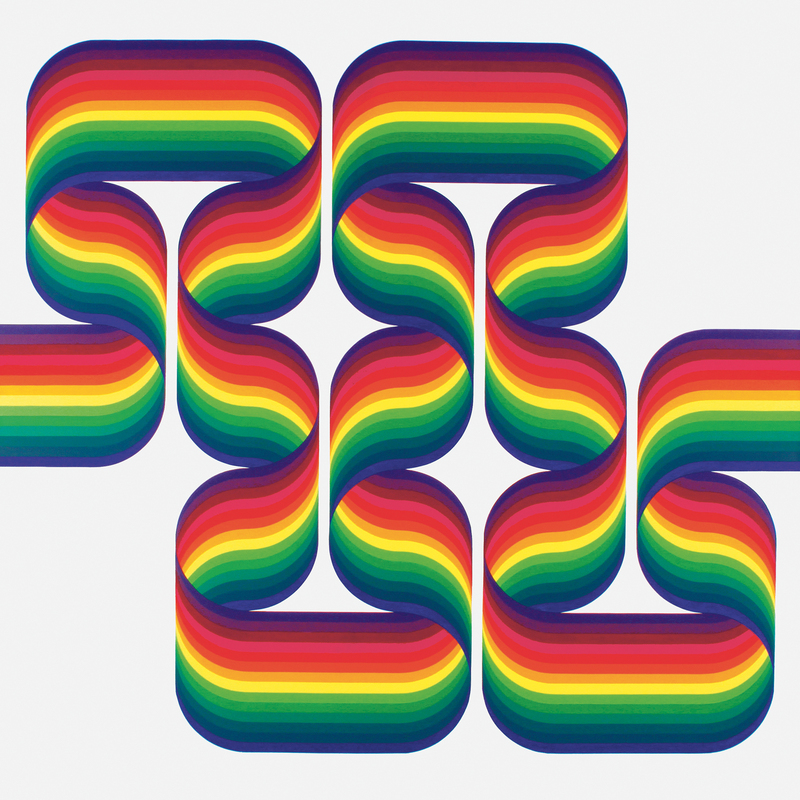 JULIO LE PARC — I’ve written when necessary, as circumstances led me to do it. When I was a student at the arts school, we were moved to write texts to clarify our ideas, demand our rights as students, and organize protests. Later, I took a hand in all the texts and analyses written by GRAV, like the manifesto written for the Biennale de Paris in 1963. But it’s by no means an attitude. JÉRÔME SANS — Which brings us to 1968, when you wrote about the role of the intellectual and the artist. What is the role of the intellectual artist today? Are the positions of 1968 still relevant? 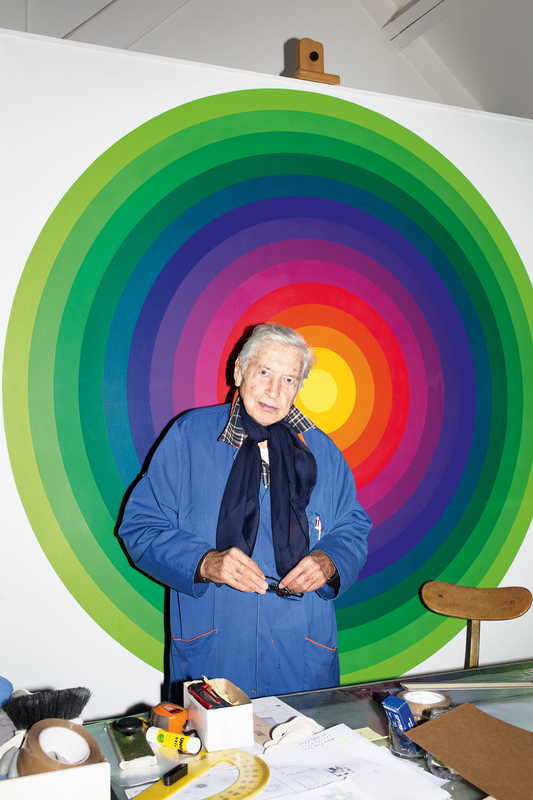 JULIO LE PARC — The idea of the intellectual artist’s role is valid for those who need it. One way or another, artists will take up a position, sometimes unwittingly, without any such intention. In the ’50s or ’60s, even if the problems of artistic monopolies and monetary appraisal already existed, the obsession with selling artworks and making a name for oneself wasn’t as central as it is now. If that had been our priority, we would have made “fashionable” works of art. Instead, we made the very things that didn’t fit in. In the 1960s, my artist friends and I held many long discussions on the question of political engagement. Certain artists, even if they had the protesting spirit, couldn’t really engage politically for fear of hurting their careers and their quest for recognition. I think this is a very common thing in the art world. It’s a kind of compromise with the art market. Finance — through the galleries, the institutions, the fairs, the biennials — determines the fate of artists. Many collectors and museum curators believe that the more expensive an artist’s work, the more relevant it is. There are no other criteria for the appraisal of artwork. In spite of all this, there are other variants. It’s very important for artists to be engagé, to say that the world today is adrift. They must have an attitude. So much the better if that attitude consists of transmitting their artistic practice, whether by representation, denunciation, or behavior. JÉRÔME SANS — How do you see the future? JULIO LE PARC — I see it as not very far off. It’s getting closer. There’s a municipal cemetery in Cachan. I have no desire to go to Montparnasse. It’s too distinguished.